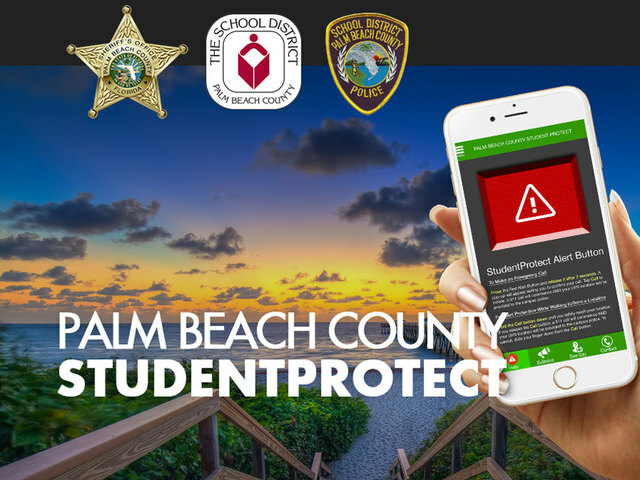 After the recent tragedy in Parkland, Palm Beach County is determined to not let anything like it happen again with the implementation of the new Student Protect app. The app can be used by students to report mental health problems, social media problems, bullying or any other suspicious activity to the school police. If they find that swift action is necessary based on the reports, they will contact the Palm Beach County Sheriff’s Office for backup. 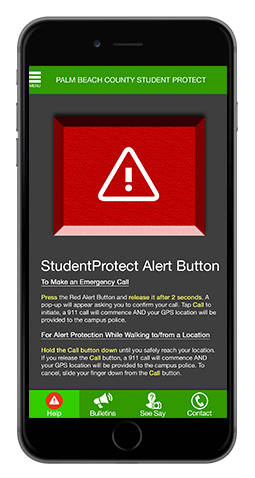 Under emergency situations, the app also has an emergency button which goes right to the local police department. Palm Beach County School District Police Chief Lawrence Leon thinks that this new app will make things easier for students to report anything they find troubling, which could prevent some serious issues before they can happen. “This is a fantastic opportunity for our students to have that technology ability to make contact with us immediately so we can verify and work together to look at what’s happening and making sure we have a secure environment,” he said. The app was created partly in response to the lack of communication between the FBI and local police. In January, a person close to Nikolas Cruz gave a tip to the FBI regarding his behavior, social media posts and gun ownership. Months prior, another tip was given about someone with the username “nikolas cruz” making a comment about being a “professional school shooter” on a YouTube video. No action was taken on either report and Cruz ultimately went on to kill 17 people at Marjory Stoneman Douglas High School on Feb. 14. With an app like this, however, there will always be a chance that it could be abused. It should be used with the same gravity of contacting police without the app. Although the app is used with anonymity, Sheriff Bradshaw wants to remind students that making false reports under any circumstance will result in serious consequences. Sheriff Bradshaw feels that the app is a good start to preventing tragedies on school campuses, even if it is not the total answer, saying that it should make students and parents a little more comfortable always having a place to send information they find troubling. Palm Beach County Schools Superintendent Robert Avossa agrees. “We’ve got to be able to protect our kids, give them an opportunity to feel safe and share information without worrying about where that information goes,” he said. 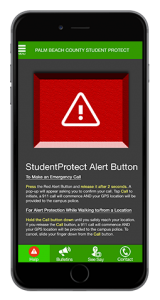 The Student Protect app is now available for download for Apple and Android devices.